Rev. J.D. Georlett is the Senior Pastor and Head of Staff at Dundee Presbyterian Church. He started at Dundee in December 2016. He has more than twenty years of pastoral experience. He received his Master of Divinity degree from Fuller Theological Seminary in Pasadena, CA. He has also done doctoral work at Dubuque Theological Seminary in Dubuque, IA. You will find that he loves to preach and teach with humor and passion, and with the Bible always at the center of his ministry. He loves all aspects of church ministry —mission, worship, fellowship, education. The Christian Church exists for the purpose of raising up and training disciples of Jesus Christ. This is our purpose. This is our reason for being. J.D. is married to Laura. They have three children, Pierce, Kayla and Grant. He loves to golf, read and bake the best cinnamon rolls in the entire world. Keith Holmes is the Children and Family Ministries Director at Dundee Presbyterian Church. He has enjoyed teaching and learning about our marvelous God and His Son Jesus, alongside the kids and parents since 2014. He has worked with children for over 20 years, and has been in part-time ministry for 15 of those. Recently, he has started heading up our Small Group Ministries, and looks forward to working with church members and guests on finding passion and purpose for everyone. Currently, he is enrolled at Bethel Seminary, where he is acquiring his Master of Divinity with a concentration in Children’s and Family Ministries. In his “spare” time, Keith enjoys his new favorite hobby, SCUBA diving, and when he can loves to hit the links for a round of golf. He also can be seen riding around on his motorcycle, when the weather permits. Jann is Director of Operations. She has been at Dundee since birth and has served in many different roles through those years. She even spent one year as the Interim Youth Director. Jann worked at Parables Christian bookstore for 14 years before making a career change and taking a position at Dundee in October of 2012. Jann likes to spend her time doing photography. 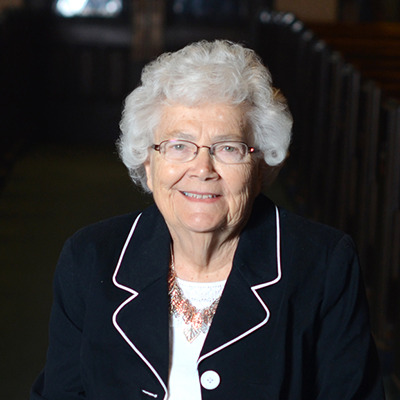 Her love of missions, mountains and family keeps her supplied with plenty of subject matter. 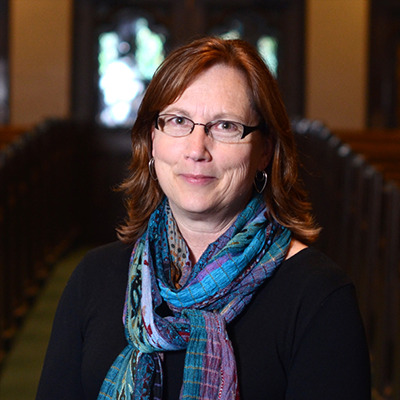 Robin Spencer is the Comptroller at Dundee Presbyterian Church. She started at Dundee in December 2017. She has a MBA from City University, a Bachelors of Science degree in Accounting from California State University, a Coaching Certificate from Jubilee Christian Center and has taken coaching classes at Western Seminary. She has over 25 years of experience in finance and accounting. Robin has worked for churches, nonprofits as well as for profit companies in such industries as education, real estate and medical. When Robin isn’t spending time with her grandchildren you will find her baking or even reading about baking. Yes Robin likes to bake, especially cupcakes. Since arriving in Omaha from California in 2016 she now understands what Midwest hospitality is. She says the people here in Omaha are the nicest people. Jonathan Mueller is the Director of Music Ministries at Dundee Presbyterian Church. He has been on staff since July of 2014. Jonathan has a bachelors degree in music education and a master’s degree in choral conducting both from the University of Nebraska at Omaha. Jonathan is very active in music in the Omaha area. Jonathan serves as the assistant conductor of the Omaha Symphonic Choir and a small chamber choir called Madrigali et al. At Dundee, Jonathan works with all aspects of music and worship. He leads music for both 9:00 AM and 11:00 AM services and works with the tech team. He coordinates music needs for funerals, weddings, and special events at the church. Jonathan has been involved in church music for most of his life, starting with singing in his father's church choir as a young boy. 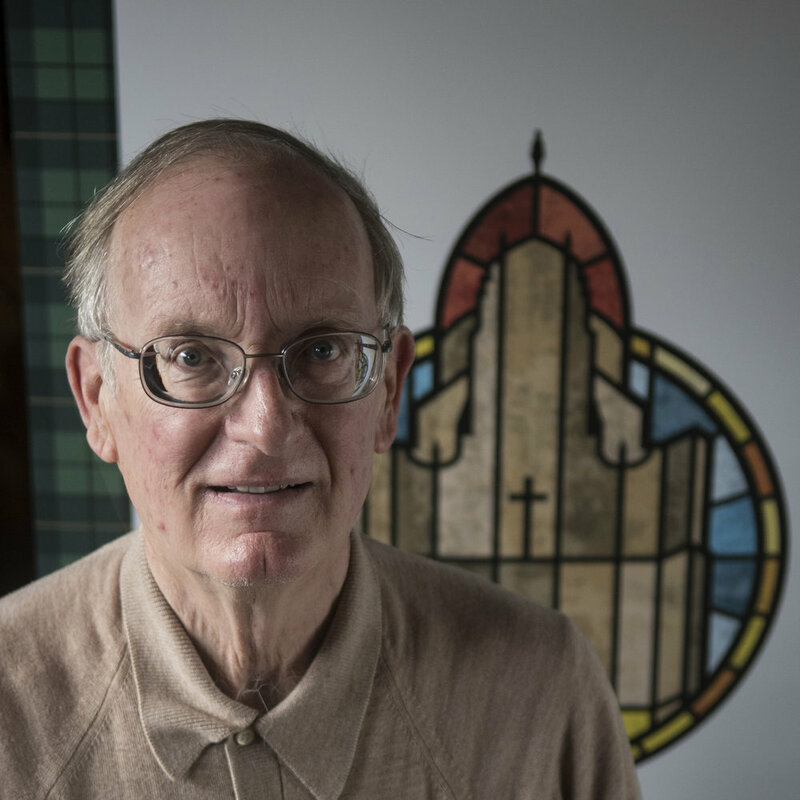 During his undergraduate education, he began working as a section leader at St. Andrew's Episcopal Church and then became the Director of Music at Maplewood United Methodist Church while earning his Master's degree. After graduation, he taught in Iowa for one year. A graduate school opportunity for his wife brought him back to Omaha, and God led him to Dundee. In his spare time, Jonathan loves to travel with his wife Kristina, especially to Disney World. A little dachshund named Piper runs their household. 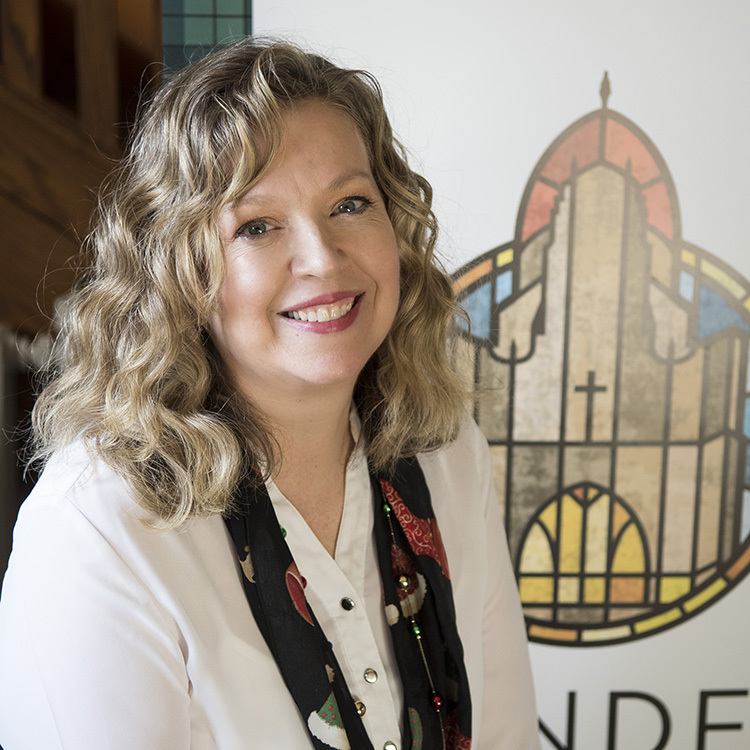 Meredith Moellenbeck is the Director of Youth Ministries at Dundee. She has been on staff at Dundee since May 2015. Her educational background is in communication studies. Meredith grew up at Dundee church and began volunteering with the youth after graduating high school. She is passionate about Jesus, God’s word and ministering to students. Meredith is married to AJ and they live in Dundee South. She loves to garden, ride bikes and spend time with friends and family. Wayne joined the staff as organist at Dundee Presbyterian Church in 1982. He has held similar positions in churches in Des Moines, IA, East Rochester, NY and Spokane, WA. Dr.Kallstrom currently teaches at the University of Nebraska-Omaha and the College of Saint Mary following teaching assignments at Whitworth College(Spokane), Oklahoma State University(Stillwater), Minot State College(Minot, ND) and Northwestern Oklahoma State University(Alva). For entertainment Wayne likes to read, walk and attend Nebraska football games. Christine Benedix is the Preschool Director and Nursery Director at Dundee. She returns for her twelfth year at The Wonder Place in 2016. Her educational background is in art and architectural history/post-secondary education. She worked to update her teaching skills to include early education when she became the Preschool Director at Dundee. She has been Dundee’s Nursery Director since 1999. Christine enjoys sharing the joys of exploration and experimentation with her students. Instilling a love for learning has always been her top priority. Regina has been a member at DPC since 1994, and joined our staff in 2008 as a faith community nurse. She began as a volunteer, then moved to part time and as of 2019 she has become the Director of Congregational Care. Regina leads our Deacon ministry, facilitates GreifShare groups and personal grief support, foot-care clinic, overseas our Tai Chi ministry, pastoral care visits in hospitals, care facilities and home visits. Regina has been a nurse since 1976 and has served in home care and hospice, nursing administration, behavioral health, orthopedic’s and long-term care. Regina has 2 granddaughters, Zora and Mavis, that she loves to bring along with her on visits. They bring so much joy to her life and to the people they visit. Regina enjoys the beach, riding her bike and spending time with her friends and family. David is a Nebraska native having been born in Columbus. He graduated from Ryan Senior High School in Omaha. After high school graduation, he worked full time at the Western Electric Plant here in Omaha. Over his 32 year career there, he held a variety of non-management and management positions. The company name changed and is now known as Avaya. While at Western Electric, he went to college part time and graduated with honors with degrees in both Business Administration and Marketing from the College of St. Mary in 1990. Upon his “early” retirement from Avaya in 2000, David secured a full-time position with Sodexo, the food service company that provides all meals for patients at the University of Nebraska Medicine and Clarkson Hospital. He initially served as the Purchasing Manager and within three years, became the Patient Services Food Manager and supervised around 100 staff, both full time and part time. David left Sodexo in the fall of 2011, after successfully being treated for cancer most of that year. In 2012 began working for Dundee Presbyterian Church as an Assistant Facility Manager on a part-time basis. In June of 2016, David became the full-time Facility Manager for Dundee Presbyterian Church. When not at church David enjoys yard work, fixing up things around the house, eating at Mama’s pizza and traveling to Branson Mo. Rod serves DPC as a part time custodian. He is primarily involved with vacuuming, trash collecting, dusting, and sanitizing the facility but also does some minor repairing etc. He was "drafted" from Dr Eckman's Wednesday Bible study to help fill a void in the custodial staff in Sept 2017. Now retired, Rod's previous career was as a computer consultant working with hospital software. Rod is president of the Omaha Metro Table Tennis Club so obviously that is his favorite participating sport. He also enjoys movies, traveling, hiking, and photography.